Hi, I'm a friend of your Tito, Gerard Sison. I was held up in 2011 in the same way by the same man and his crew, and I've been able to blog about it here: http://ligayas-joys.blogspot.com/2011/12/hold-up-incident-report-or-gal-who.html. They're still out there, I found out they got away on April 2012. Mga hinayupak, sana talaga ma-karma sila. I know you might not want to talk about it, but as someone who's been in the same situation I can tell you it's better if you do so you can process it. Hope you're well. Hi Ligaya, Thanks. 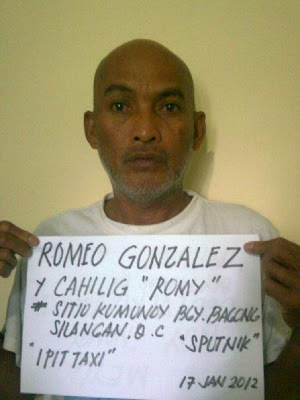 I don't know any Gerard Sison :) but I am glad to know you were able to escape and come out OK from your ordeal. You are BRAVE. I don't know if I could do what you have done. What happened to me has left me traumatized for life. Now, I couldn't even take public transport without getting very paranoid. I don't take taxi anymore. God Bless and keep safe! I live in Jakarta and a similar thing happened to be here in 2006 but the guys that look me had a knife, not a gun. It was a scary experience.